People ask me all the time where I get my books. Sometimes I get them from my local indie bookstore, sometimes at a thrift store; often at garage or estate sales. But one of my absolute favorite places to go is the annual Friends of Hockessin Library Used Book Sale (FOHLUBS.) It’s hard for me to imagine what I did before I moved to this area, for the FOHLBS is a three and one-half day extravaganza featuring over 50,000 books. There are books on the floor; books by the door. Books in racks and books in stacks. (Enough with the Seussing.) When I’m confronted with a mega-ballroom size expanse filled with books, I have to have a plan of attack or I’ll burnout before I get through the mystery section. Here are the steps I go through to maximize my time, fun and sanity. Since this novel is set in NYC, fans of “novel destinations” might like to read it before their trip. It is particularly fun for fans of bookstore-genre novels. I love books. I love books about books; bookstores, writers, book collectors…well, you get the idea. 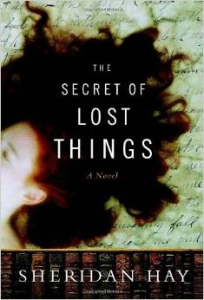 As a result, I plunged into “The Secrets of Lost Things” like a child diving into a summer pond; joyfully and without restraint. I reveled in the descriptions of miles of maze-like shelves with dusty, redolent books while sympathizing with the (somewhat obligatory) idiosyncratic cast of characters. While some reviewers found the plot thin, or felt the narratives unresolved, I was willing not only suspend disbelief, but to chuck it out the window and bask in Hay’s homage to obsessive book collecting. I am not a big fan of coming-of-age novels or first person narratives, but since Hay worked in bookstores and lived in Sydney, AU, the novel worked for me. The novel felt both intimate and expressive. The Philadelphia Zoo is adding a little green to your Halloween with the return of Boo at the Zoo for two spooky weekends. Put on your favorite costume and join us for a creepy, crawly celebration. Enjoy treats and sweets while playing your favorite Halloween games, listening to live music and much more. • Do you know why Halloween is an orangutan’s favorite holiday at the Philadelphia Zoo? Be sure to visit the Sustainable Palm Zone during Boo at the Zoo to find out. • Take a walk through the Philadelphia Zoo’s not-so-scary Extinction Graveyard to learn about the extinction of species around the world. You’ll be shocked to see that some of your favorite creatures could be extinct in the wild in 15 years. • Enjoy festive fall offerings throughout the Zoo: hot apple cider, Children’s’ Halloween Sippers filled with a Witch’s Brew, reusable Boo at the Zoo trick-or-treat bags and much more! Pick up a Boo at the Zoo map at the entrance for all the details. • Set out on a Scarecrow Scavenger Hunt and discover your favorite animals in the form of life-size scarecrows. Categories: Children's Travel, Family Travel, Pennsylvania, Uncategorized | Tags: Boo at the Zoo, Family Travel, green travel, Green Travel with Kids, Halloween, Kids, Mid Atlantic Region, Mid Atlantic States, Mid Atlantic Travel, Pennsylvania | Permalink. Checking out their season Foodie Friday Video too. Categories: Contests, Family Travel, New Jersey, Uncategorized | Tags: Christmas in July, Family Travel, Kids, Mid Atlantic Region, Mid Atlantic States, Mid Atlantic Travel, Morey's Piers & Beachfront Water Parks, Morey's Piers Christmas in July, Morey's Piers Free Tickets, Morey's Piers Stocking, Morey's Piers Ticket Giveaway, Morey’s Piers, New Jersey, Santa at Wildwoods, Wildwood, Wildwood Beach, Wildwood Piers, Wildwoods | Permalink. 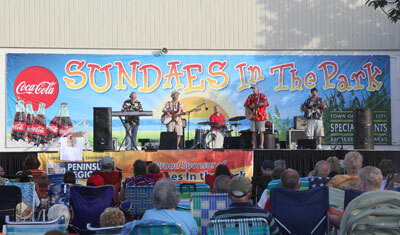 Sundaes in the Park is a free family concert series offered Sunday evenings in July and August from 7:00 p.m. to 9:00 p.m. Weather permitting, there will even be fireworks. For a small fee, enjoy your own ice cream sundae creation as you listen to your musical favorites and watch the sun set over the beautiful Assawoman Bay. Bring your picnic basket and beach chairs to Northside Park at 127th Street and the Bay in Ocean City, MD; the lineup of entertainers for the 2014 season is something to cheer about. July 13 – August 24, 2014. Sunday Evenings 7:00 p.m – 9:00 p.m. Categories: Children's Travel, Family Travel, Free Admission, Maryland, Uncategorized | Tags: Family Travel, Free Concert in MD, Free Family Concert., Kids, Maryland, Maryland Fireworks, Mid Atlantic Region, Mid Atlantic States, Mid Atlantic Travel, Music, Ocean City Fireworks, Sundaes in the Park, Sundays in the Park | Permalink.